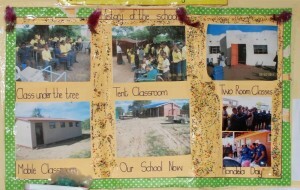 This poster on the wall of the school show the tenancity of the Khulani journey. Khulani Special School (KSS) began in 1998 as a daily gathering of special needs children from the community under a tree, watched over by two caring mothers, Elsie Nsukwini and Crazentia Ngobesie. From these incredible humble beginnings, KSS has grown to provide 120 children, 60 of whom are borders, with basic medical care whilst meeting their educational needs through the guidance and support of qualified teachers. More than this though, KSS has become a place of refuge for children who are vulnerable to abuse and ridicule in a community already battling with an array of poverty and health challenges. KSS is located in KwaZulu-Natal, in the Mduku Community, between the north-western edge of False Bay in the Greater St Lucia Wetland Park and Phinda Private Game Reserve. The school’s catchment area includes Mduku, Mnqobokazi and Nibela where, to date, over 300 special needs children have been identified – a number believed to be grossly underestimated. In 2002, Crazentia made contact with Paula Louw an employee of the Zuka Private Game Reserve on the edge of the community with a plea for help. Zuka immediately got involved in the long journey to try and get formal support for the ever growing numbers of children. Finally in 2007, the first offer of support came from The Africa Foundation, a non-profit organization actively working in the communities. After this, a committee of Mduku community members was established and approached the local Traditional Council who, through the late Inkosi Simon Gumede pledged their support by allocating a one-hectare site for the development of a school building. Located on a well utilized road and next to a taxi drop off area, the property was fenced off and cleared in preparation for construction. While waiting for construction to start, a member of the local community gave over his house, albeit in need of repair, as temporary premises for the children. Building materials were donated to make the house more habitable and community members set about repairing windows and doors, building a fence and painting the house. The parents of the KSS children, seeing the value and care their children were getting continued to put their faith in the school, by committing to pay school fees from their children’s government Care Dependency Grant. After much lobbying, the local Department of Education (DoE) came on board registering the school and conducting assessments of the children together with staff from Mseleni Hospital. At first, about 15 children were identified with physical and mild cognitive disabilities, and they formed the core of the school’s learners. Construction of the new school buildings began with the help of the DoE and a local contractor who provided labour and material free of charge. Ten mattresses were donated to the school, the local municipality installed JoJo water tanks, and the Africa Foundation assisted in acquiring other basic equipment. 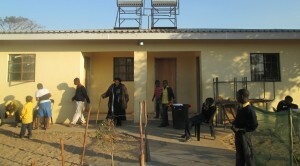 The building was suitable for use by the school as an interim facility but numbers quickly grew to 30 learners in the class 22 of which slept at the school Monday to Friday. Very soon children were added to a waiting list, which grew to 50 as the school was too small to accommodate them. In 2010, KSS was assigned the EMIS number (448810) from the DoE, and Mrs Toksile Nxumalo was officially appointed as the Principal of Khulani Special School. As a further level of commitment to the school, the DoE also arranged for a school bus to fetch the children from their homes and return them home on a daily basis. 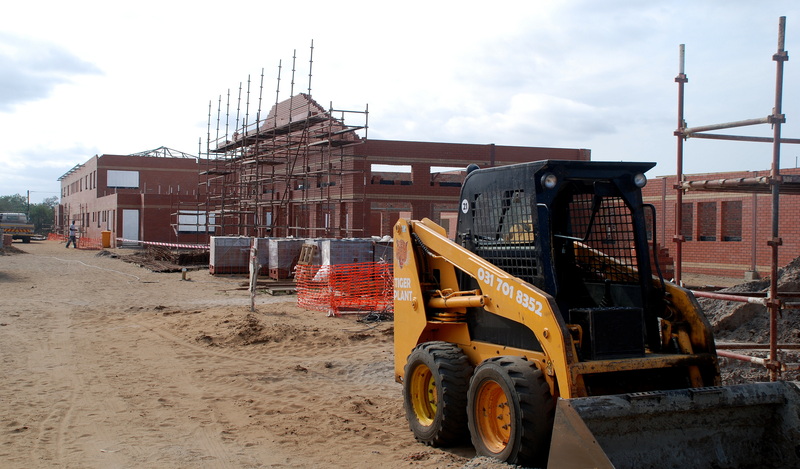 The DoE then began working with Pietermaritzburg-based company, Independent Developmental Trust (IDT) who drew up plans and for the construction of a new, much larger school that could accommodate all the children on the waiting list, and more. These plans were approved and a duget of R54million set aside for the construction of the new school, which began in July 2012. 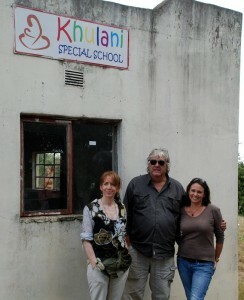 The success of KSS is thanks to our Khulani Champions, who have cared enough to invest in these children. While this new school is the future for the special needs children of the Mduku community, the next challenge lies in providing for the monthly running costs of the school. It is this challenge that resulted in Project Khulani.